Filled with reassurance and strength, these 13 studies for individuals or groups are made to help you grow in faith. 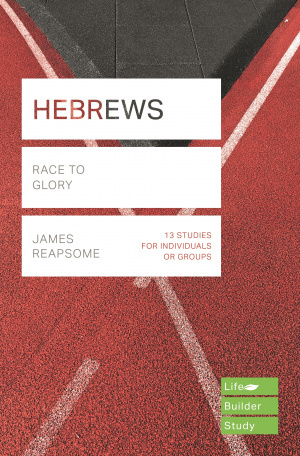 Lifebuilder Bible Study: Hebrews by James Reapsome was published by IVP in September 2001 and is our 6157th best seller. The ISBN for Lifebuilder Bible Study: Hebrews is 9781783597796. Be the first to review Lifebuilder Bible Study: Hebrews! Got a question? No problem! Just click here to ask us about Lifebuilder Bible Study: Hebrews. How many study sessions does the "Lifebuilder Bible Study: Hebrews" by James Reapsome have?